Home equity loans are designed to help homeowners gain quick access to some much needed cash by tapping into the equity in their homes. Home equity loans provide an alternative to taking out other types of loans or opening new credit card accounts. While other forms of borrowing may come with high interest rates and stricter qualification requirements, home equity loans have fairly low interest rates and are easier to qualify for. Because the homeowner’s home is used as collateral when taking out a home equity loan, lenders are more likely to give out this type of loan than any other. However, getting a home equity loan is not as easy as it may seem. Home equity loans are often considered second mortgages because they are tied to the original mortgage that the borrower has. In case the home that is used as collateral goes into foreclosure and is eventually sold by the lender that gave out the first mortgage, the lender for the home equity loan only receives money after the first mortgage is paid off. Many times, the proceeds from selling a foreclosed home aren’t enough to pay for the first mortgage, and the home equity loan lender ends up losing a lot of money. The higher risk for lenders means that, even though you use the equity in your home as collateral for the home equity loan, the requirements will still be fairly strict. By only approving homeowners who are a lesser risk, lenders try to minimize their own risk of giving out a loan to someone who might default on their mortgage or home equity loan. The equity in your home. In order to qualify for a home equity loan, you must have equity built up in your home. The more equity you have, the bigger home equity loan you can get, but only up to a maximum of 80 percent of the equity in your home. Your credit score. Like most loans, a home equity loan has a credit score requirement. While some lenders will approve borrowers with a lower credit score, the minimum score for most home equity loans is around 650. Unfortunately, the loan terms and interest rate may be much higher for those with lower credit scores. Your income. Your lender will require proof of your employment and an income history before giving you a home equity loan. This will include information about your employer, how long you have been employed and what your income is. Self-employed borrowers will have to provide additional documentation such as invoices, bank statements, and contracts with their clients. Your debt-to-income ratio. Your debt-to-income ratio should be in an acceptable range in order to qualify for a home equity loan. Your debt-to-income ratio is the lender’s method of evaluating how you can handle a new debt. Your home’s appraised value. 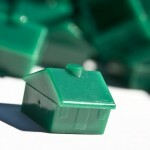 Lenders can only determine how much money you can qualify for if they know the value of your home. Your home’s value will be determined by hiring a professional home appraiser, who will analyze the market value, the condition of the property, and the location in order to find out how much your home is worth. House equity loans, like most loans, have requirements that may or may not help you get a better interest rate or terms. If you qualify for a home equity loan, you should do your best to improve your financial situation in order to get the best interest rate and payment terms. Not all lenders are created equal, so shopping around for lenders and comparing their offers is always recommended. A home equity loan can help you make improvements or repairs to your home, or pay large bills, but before you consider taking out this type of loan, you must make sure that you meet the home equity loan requirements.